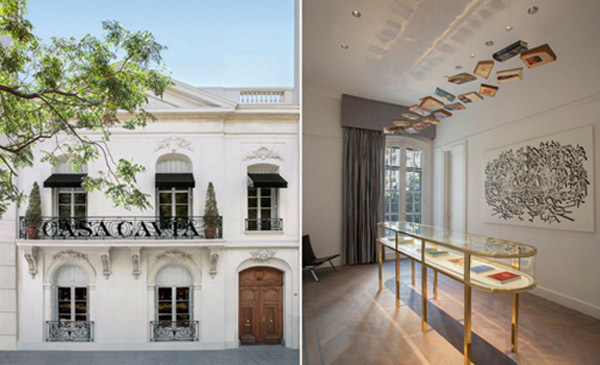 Lupe García—the creative director of recently opened Casa Cavia in Buenos Aires—is following in her parents’ footsteps. Her father opened La Panaderia de Pablo restaurant, while her mother founded Ampersand—a publishing house rooted in language, history and academic books. 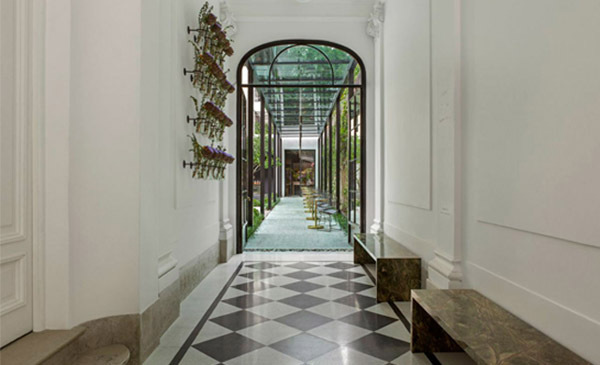 Looking to move that business to a new location, García’s mother found a stunning, historic 1920s house for sale in the elite residential neighborhood of Palermo Chico. That’s when García stepped in. She envisioned a space that was much more than a publishers’ headquarters—a place that was also a bookstore, a library, a restaurant, a bar and “a place for different disciplines to dialogue,” she says. 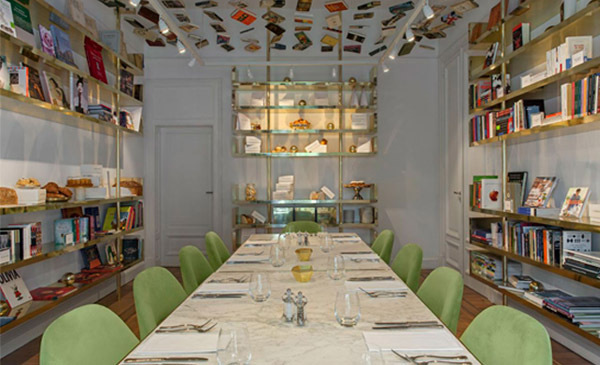 On the ground floor, guests converse over dishes in “the kitchen”—a Mediterranean-inflected restaurant helmed by Pablo Massey (a protégé of Argentinean super-chef Francis Mallmann). Also on offer are pastry chef Próspero Velazco’s patisserie and petits gateaux for taking out or eating in—perhaps in the corner space that’s reserved for a bookshop and reading area. The restaurant’s stunning interior—with high ceilings and an ornate curved staircase—opens into an exquisite contemporary garden. There, perfumes and candles from BA-based scent laboratory Fueguia 1833 are sold alongside flowers by Flores Pasión. Inés de los Santos’ bar is also here, offering original, refreshing cocktails like Vesper Grass—made with ingredients including gin, vodka, lemongrass syrup and lemon peel. 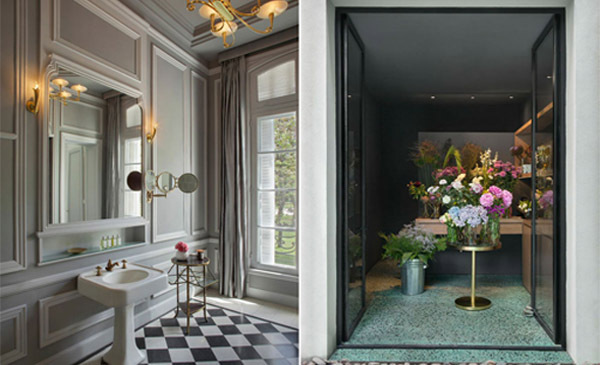 This eclectic mix reflects the house’s history, as well as Buenos Aires’ cosmopolitan heritage. Casa Cavia (as it was called on the original floor plans) was built by Norwegian architect and artist Alejandro Christophersen across from the verdant Plaza Alemania, designed in the early 1900s by French landscaper Charles Thays. 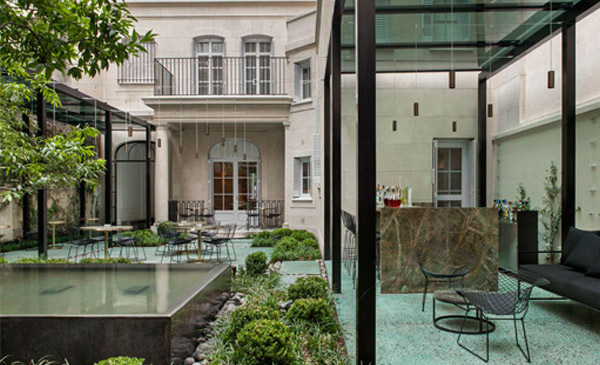 London architectural firm Kallos Turin took more than two years to restore Casa Cavia before its launch this month, and the painstaking care is evident. García is planning to introduce even more activities to Casa Cavia. The salon-style concept will expand with a possible cinema club and site-specific art installations, while Casa Cavia’s current collaborators—representing some of Buenos Aires’ most interesting creatives—will cross-pollinate to form new, multidisciplinary experiences. It’s a space to visit for sure, but also to keep watch.